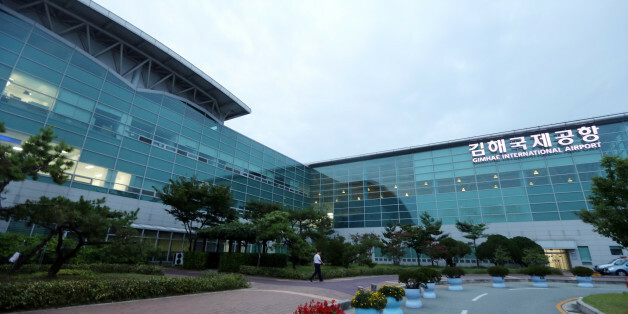 Unionized workers at Sunjung International, the company in charge of luggage classification and cabin cleanup for 13 airlines at Gimhae International Airport, have warned of a strike ahead of the busy Lunar New Year holiday. Of the 194 employees, 102 had expressed their intentions of going on strike as of Wednesday. Sunjung International clients account for approximately 100 of the 160 flights leaving the airport per day. Since October 2018, the company’s labor union has requested a higher retirement age and a wage increase. The strike was approved through a vote after negotiations broke down. Concerned that a strike during the busy Lunar New Year holiday season would disrupt transportation, Sunjung International has asked the Ministry of Employment and Labor’s Busan office to designate the service company’s tasks as essential. If the ministry deems the work essential and believes that its suspension or discontinuation endangers public safety, the ministry can limit the number of employees who can go on strike. Baggage classification was designated an essential service in 2010. However, there are no cases on record where cabin cleanup services were considered essential.